Lowest price guarantee. No need to look further! 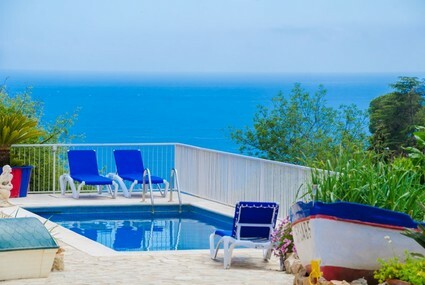 Luxurious detached villa with private swimming pool and beautiful view of the Mediterranean Sea. Villa Claire is located in the neighbourhood of Santa Maria de Llorel. This neighbourhood has its own sandy beach, bar/restaurant, swimming pool and supermarket. A nice 6-person villa with private pool, built-in barbecue, balcony and terrace on the Costa Brava. Spacious 8-bed villa with a private pool, built-in barbecue, parking, several terraces, 5 bedrooms, 2 bathrooms and the Mediterranean Sea within walking distance. 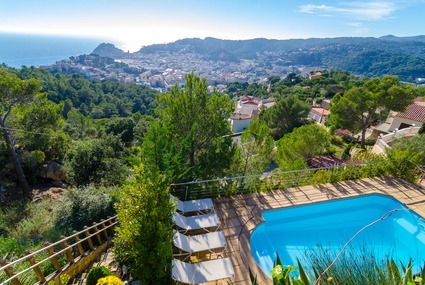 Authentic beautiful Spanish villa in Tossa de Mar with private pool and sea views. Modern detached villa with private swimming pool, terrace with fantastic view over the Mediterranean Sea and located in a quiet urban are. The beach, shops, restaurants and night life are only 500m away. Villa Nelly is perfect for couples. Enjoy a carefree family holiday in this beautiful villa with private swimming pool and the beach only walking distance away. 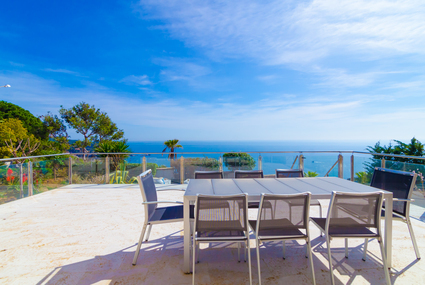 Typical family villa near Tossa de Mar with a terrace, a barbecue, garden and a private swimming pool and fantastic views over the Mediterranean. Are you looking for a very special holiday destination? Then Tossa de Mar is the place for you. Tossa de Mar is the ideal location for people who need a quiet corner to enjoy both relaxation and entertainment. This lovely resort on the Costa Brava offers the perfect combination of ideal natural surroundings with round-the-clock entertainment. 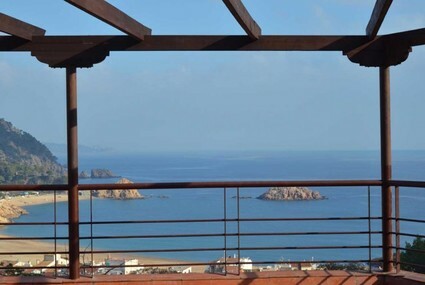 You can enjoy all that Tossa de Mar has to offer from your private villa or holiday house. The luxury villas of Club Villamar have everything you need and much, much more. Whether you plan to travel with the whole family or with a group of friends, then you have chosen the right place. Tossa has it all! Are you curious about what you will find in Tossa de Mar? Read on! 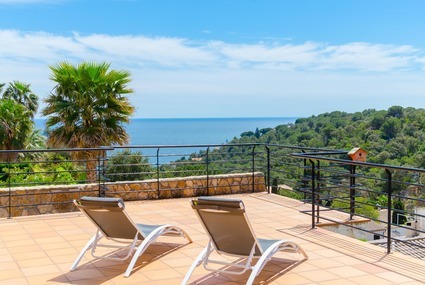 The fantastic villas and holiday houses of Club Villamar are located in the best parts of Tossa de Mar, from where you will be able to experience the best of this magnificent little town. The views of its castle are gorgeous. The castle of Tossa de Mar is located on the top of a hill, in a walled area called “Villa Vella”. Imagine walking through the narrow streets, surrounded by houses dating from the 15th century. You can do it in the “Ciutat Vella”, where you will have the opportunity of visiting the archaeological museum, the lighthouse and tasting the fresh fish and fruits of the sea in one of its cosy restaurants. From there you can admire the magnificent cliffs and the crystal blue water of its beaches and coves. Plenty of small coves are waiting for you, your family and friends. The perfect place for a romantic walk. If you want to soak up the culture of Tossa de Mar, visit its churches, the Parish Church dating from the 18th century, and the small church of the “Socorro”, dating from the 17th century. But there is not only a vast cultural heritage in Tossa de Mar. Walk through the small streets and find numerous little shopswhere plenty of handicrafts are on sale. You will be sure to find that souvenir you are looking for! A sunny day, someone lying in a deckchair next to a private swimming pool, a cold drink in one hand, a book in the other…Does this picture appeal to you? It could be you! The villas and houses of Club Villamar can make this dream come true! 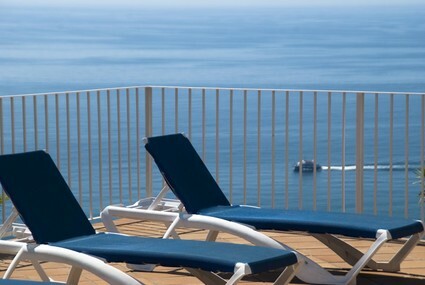 The peace and relaxation you are looking for are in Tossa de Mar, in the villas and holiday houses of Club Villamar. Enjoy a barbecue in your private garden while enjoying the spectacular views from your villa. Don’t fancy cooking? Then get the best out of the vast selection of cosy restaurants in Tossa. Fish, sea food, good meat… and all surrounded by fantastic Mediterranean architecture. After a tasty dinner, time to party! In Tossa de Mar in summer, the large variety of pubs, discotheques and night clubsare crowded every night. Take a trip to these resorts and enjoy a day in a crazy aquatic park like Water World, Marineland… or discover this spectacular coast from the sea by taking a short cruise. Why would you want to share a swimming pool; why would you want to hear noisy neighbours in a crowed hotel… you do not have to put up with all that. With Club Villamar you can chose your favourite place to relax and enjoy the best holiday you could ever dream of. Book your holiday house or villa with Club Villamar and you will enjoy the carefree lazy vacation you deserve!